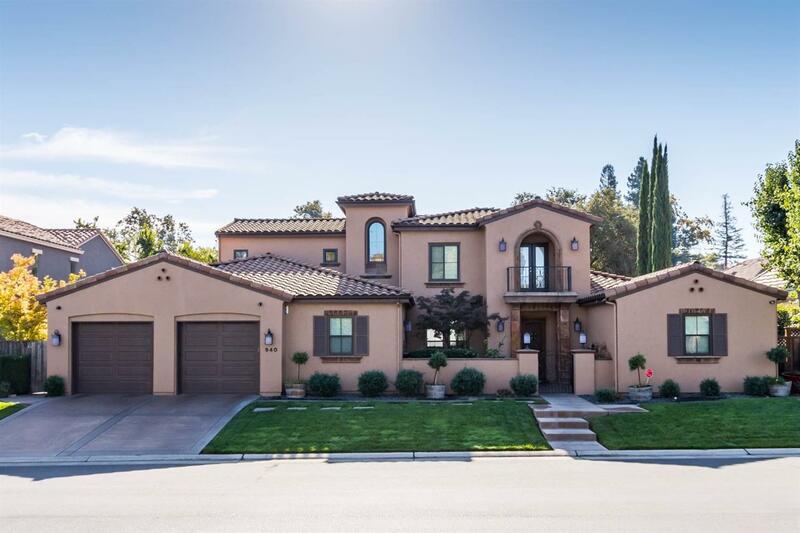 Enter this Exquisite Custom Home through the Lovely Gated Courtyard. Beyond the Handsome Front Door is an Open Floor Plan with Lots of Natural Light during the Day and Computerized Zone Lighting throughout when needed. So many other Special Details in this Home - Knotty Alder Cabinets in the Kitchen & Family Room, Handcrafted Stone Fireplaces, Beamed & Tray Ceilings, Imperfect Smooth Walls, Custom Moldings, Recessed Lights, & Art Nooks. The Kitchen has GE Monogram Appliances including Built-In Refrigerator, Double Ovens & Warming Drawer, 6 Burner Gas Range w/Grill & 2 Dishwashers. Entertaining Should be a Breeze ! Through double doors between the Kitchen & Family Room is an Office/Study/Den with multiple phone lines. One of the Master Suites is on the ground floor & has Access to the Pool/Spa area. Outdoor Living this Summer is going to be Exciting with the Outdoor Kitchen, Dining Gazebo & Sparkling Heated Saltwater Pool & Spa. Don't Miss Seeing this Magnificent Home !! !